"Ubud became, without a doubt, our favourite place in Indonesia � a cool, leafy haven away from the strangeness of Java, the bars in Kuta and the fierce heat of the beaches in Lombok and the Gili islands. Ubud, however, became a kind of refuge for us and we look back on our time there as the most serene during our six-week stay � here are the highlights of our time in Ubud Bali." Ubud is centrally located on the island. It is easily accessible and it is considered to be the cultural center of the island. The name is derived from the Balinese word UBAD, which means medication. It's a herb with healing properties, which grows along the nearby river Oos. 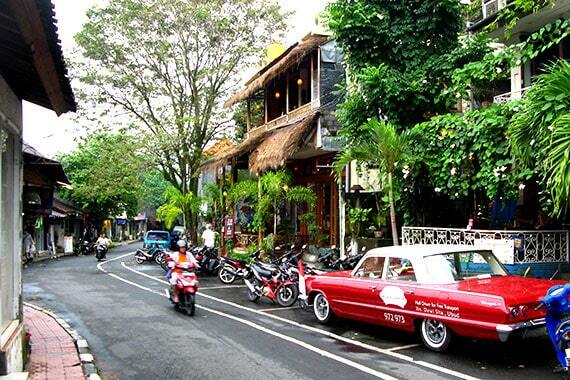 Ubud is a remarkable town in the middle of the island of Bali. For over a century, the most prominent center of the island for the figurative arts, dance and music. While it was once a haven for dirty backpackers, cosmic seekers, artists and bohemians. Ubud is a "hot spot" for literati, "the beau monde", art collectors and connoisseurs. Famous names walk every day through the busy streets. Elegant five star hotels and sprawling mansions now stand on the edge of the city, overlooking the beautiful sights of Bali. While Ubud seems to outsiders like one small town, it is in fact fourteen villages, each run by its own banjar (village committee). Ubud has grown rapidly, and some central parts are creaking under the strain of coping with the number of visitors. That said, most development is sympathetic to the "zeitgeist", if not designed specifically in the local style. Growth continues apace, but there are still terraced rice fields along the rivers, and away from the town centre, regular, quiet village life carries on relatively undisturbed. Nevertheless, Ubud is still popular with backpackers, mystics and all peripheral elements of the global society. Ubud is not "ruined". The place has a strong Balinese character. It still draws people who add something, people who are actively involved in art, nature, anthropology, music, dance, architecture, ecology, "alternative modalities," and more. Ubud is maybe the best place to use when you are on holiday in Bali. Or if you are looking for culture, comfort, nature and inspiration it's a good place to start. 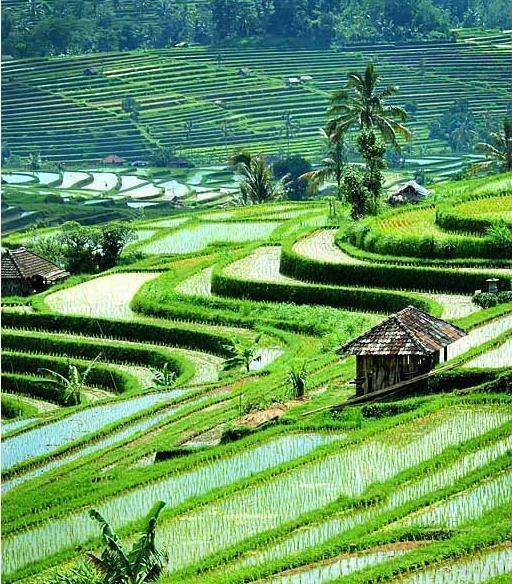 As a base Ubud is surrounded by most of the attractions that bring people to Bali: the terraced rice fields (sawa's), small villages, art and craft communities, ancient temples, palaces, rivers, cheap accommodation and unique luxury hotels. 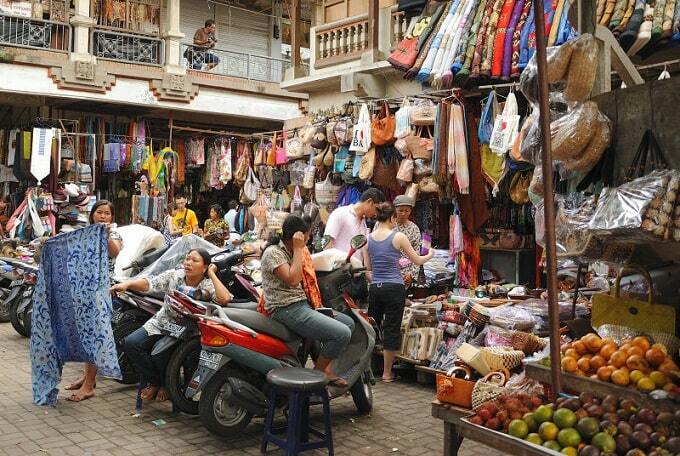 Ubud is centrally located and from here you can easily visit the mountains, beaches and larger towns. The real Ubud is under the surface. There are lots of interesting things on the main streets, but most of the magic of Ubud is hidden. In the small streets, backwaters, courtyards and the cafes. It's in the hearts, thoughts and dreams of the local people. This part of the Bali web site was built to show how to discover the real Ubud, the real Bali. It makes no sense to repeat the guides, so we have not tried.